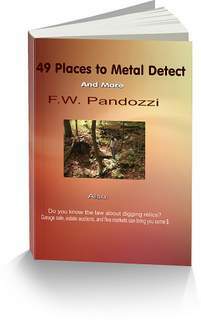 Here is a list of Alabama metal detecting clubs. If you're new to the hobby, they offer a great amount of expert advice. 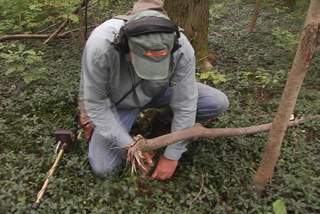 If you've been in the hobby a while and you want to expand on your knowledge or meet a new detecting partner, these clubs may offer what you're looking for. We have two meetings a month, always held at 7:00pm on the second and forth Tuesday of the month. Meetings are held at the Alabama Prospecting Supply building at 789 Brentwood Drive, Gadsden, Alabama, 35901. Visitors interested in joining the Southeast Treasure Hunters are urged to attend a meeting. If you decide to join the dues are $10.00 per year and membership runs from January through December. second Thursday night at 7 o’clock PM alternately at the Iuka Public Library. Dues are $20.00/yr. Our Club year runs from October through September. The Warrior Basin Treasure Hunters Association, based in the Birmingham, Alabama area, was founded in 1972. Meetings are scheduled for the 1st and 3rd Tuesday of each month. Apply for membership in the WBTHA by submitting a membership application along with a first year fee of $15. Membership is on an annual basis that renews in January of each year with a renewal fee of $10 (special exceptions). Understand what the laws are about digging artifacts. If you have any questions regarding my list of Alabama metal detecting clubs, please use the form below to contact me.